Before sharing the technique, let me give a glimpse on which factors speed of computers/laptops relies on. It depends upon hardware factors such as CPU Speed, Size of RAM, Hard disk rotation speed, Speed of Bus (Not MTC/SETC bus, it’s CPU bus which is used for communication of components in CPU). Malware such as Virus, Trojan can also affect the system performance. The factor we gonna improve is the size of the RAM. Yes, in this article we gonna learn how to increase the size of the RAM You might have puzzled by this statement. “Increasing RAM size? So, he gonna share a hardware technique?”, might be your thought process now . No man!! We are going to increase the size of the RAM not physically but virtually ? Those OS freaks here would get what I am trying to say. 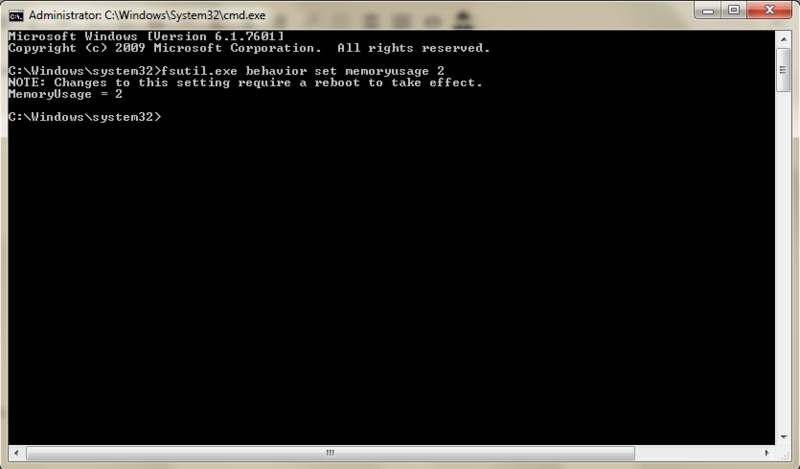 Yes, We are going to increase Virtual memory for the system to improve its performance. For those people who haven’t heard/know about Virtual memory, lemme give a brief definition. A part of memory in the hard disk (Secondary memory) will be used as a primary memory (RAM) using some mapping techniques. 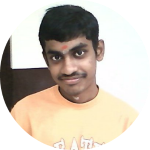 To know more about Virtual memory, refer “Namma (our) Wikipedia” ? Moving to implementation, it can be accomplished in two ways. 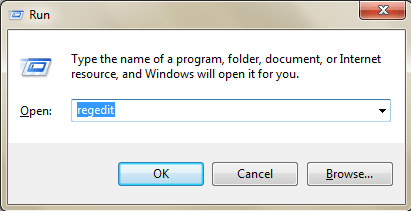 Go to Run(WinKey + R or Start->Run) and enter “regedit”. Naviagate to “HKEY_LOCAL_MACHINE\SYSTEM\CurrentControlSet\Control\FileSystem” and double click the key “NtfsMemoryUsage“. Some of you will come up with questions like, “Bro, What if we set the memory usage with 3 or higher value ? Will it improve the system performance ? If so, what is the maximum value we can set for the memory usage?”. The answer is, “2 doesn’t represent the size of virtual memory. Its the option to increase the size of paged pool memory. ( What is paged pool memory and nonpaged pooled memory is a big topic to discuss here. If you are more interested in this topic, refer here ) The other options are 0 and 1 which means ‘Not Set’ and ‘Default’ respectively. If you assign the option ‘0’, it means you are not setting any value, which means System gonna take default value is ‘1’ ? To make it simple, the options ‘0’ and ‘1’ are nothing but the same And option 2 corresponds to increase the size of page pooled memory. That is, it’ll improve performance if you work on same set of files not necessarily on same folder. To be precise, it’s nothing but cache of CPU. Less you change the cache file contents, higher will be its performance. So, this statement wouldn’t be a big deal for normal system users. And this is a great gift for gamers who would face “Sloooow System” problem For those who groans, “Dude, running above command decreases the performance of my system “, No issues buddy.. You can revert it to previous state just by running the command, “fsutil.exe behavior set memoryusage 1“. 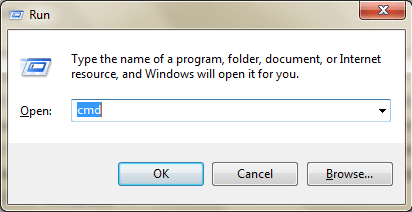 And for those who ask, “Bro, I dunno in which option is selected. 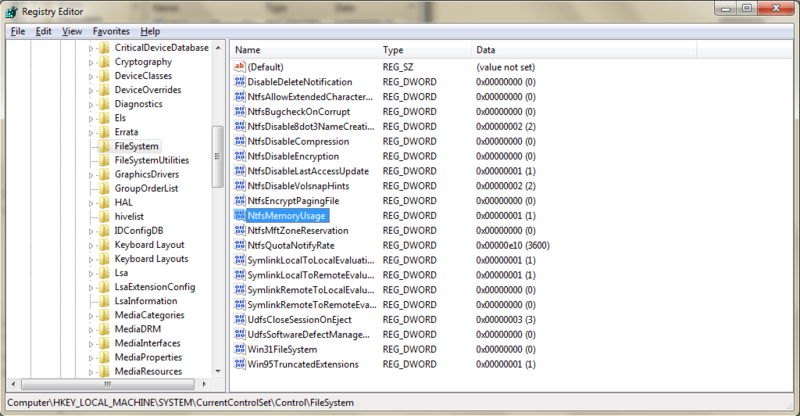 How can i find the current selected option?”, you can find that by executing “fsutil.exe behavior query memoryusage”.